Outstanding Oasis in desirable MARBLE HEAD in Metro West! As you pull into the CUL-DE-SAC, this home has an impeccably maintained WOW factor. As you approach the front of the home, you’ll walk from the PAVER DRIVEWAY and WALKWAY to the LEADED GLASS DOUBLE FRONT DOORS, passing the beautiful landscaped flower beds and LANDSCAPE LIGHTING. Upon entering, you will notice this retreat with SEPARATE living and dining rooms to the left and right, then an OPEN CONCEPT living, boasting many upgraded features: VAULTED CEILING, HARDWOOD FLOORS, 42" wood cabinets, SS appliances, WINE COOLER, WOOD-BURNING FIREPLACE in family room, all bathrooms with new tile, lights & GRANITE countertops, NEW WATER HEATER in 2019, New FENCE (west side)in 2019, NEW ROOF in 2018, POOL SOLAR HEAT SYSTEM with TIMER in 2018, new DUCTWORK with 5” air filter and NEW CEILING VENTS in 2017, EXTERIOR PAINTED in 2015, and new A/C in 2013. It’s visibly noticeable that the owners have utilized quality materials throughout. Just outside the family room, a TERRACED, PRIVATE, FENCED backyard greets you beyond the SCREEN-ENCLOSED POOL and patio. A JASMINE-COVERED ARBOR protects you from the sun as you barbecue in your relaxing atmosphere, while friends and family gather under the fan, sipping their cool refreshments. Conveniently located to all major highways, shopping, amusements parks, unlimited restaurants and excellent schools! 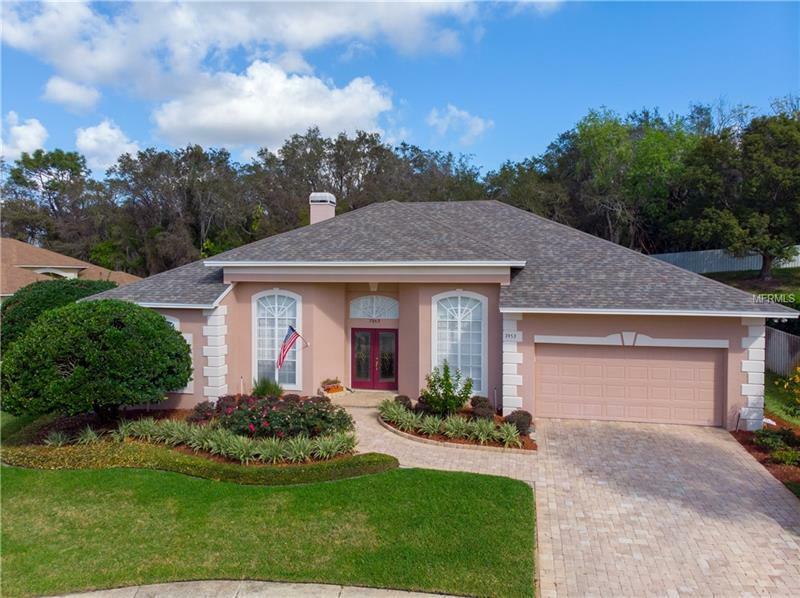 A great quality home in a favorite quiet community. A Must See - Don't Wait!